Do you have a desire to progress in your career but you are not quite sure how to go about it? Do you feel like you would lead well in management positions, but have not been given an opportunity to find out? If your answer is ‘yes’ to either one of these questions, your next step should be enlisting the help of management recruiters in Milwaukee. Management recruiters in Milwaukee work closely with individuals who have a proven track record of success in their career, but want more. We want to know what makes up your unique personality, and what qualities you posses for higher leadership. 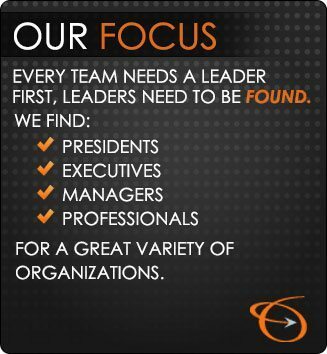 We work closely with organizations as well, obtaining a detailed description of the type of person they want. We are passionate about making a match that works for both an organization and an individual, and we can do that best by getting to know you first. Our team of management recruiters is dedicated to looking at your individual situation and figuring out what might be hindering you from getting the management position you want. It is an unfortunate truth that individuals’ actions are often their own biggest obstacles to being hired. Therefore, our team acts as your coach to identify and solve any issues that may exist. We begin by reviewing your resume and correcting any issues. Then we look at jobs you have been applying for to see if you have been applying to positions you are either under-qualified for or overqualified for. We then check your background and references for any other information that could be hindering the hiring process. Our specialized team of management recruiters in Milwaukee utilizes the MRINetwork’s proven process to help you achieve your career goals. We want to first help you solidify your career goals, and then guide you in applying for jobs that match those goals. We believe in our ability to help you achieve your career goals. So much so that we only get paid via the client company when you get hired. You do not pay at all. We will even go to the extent of helping you relocate for your new position. We have a running list of current job opportunities, as well as a blog full of other helpful information. Contact us today and speak to one of our management recruiters in Milwaukee. Begin the process of advancing in your career!